Do not take essential oil internally unless under professional supervision. Indigenous to the Mediterranean region, southern Russia, central and southern Asia, the herb is now cultivated throughout Europe and North and South America. The plant is an aromatic annual, growing to thirty inches, with an erect hollow stem, feathery leaves, and numerous yellow flowers in umbels. The fruit, or seeds, are lightweight and pungent. The leaves are harvested as a culinary herb in spring and summer, while the seeds are collected, when ripe, in late summer. Dill is an ancient Egyptian remedy described in the Ebers papyrus (c. 1500 BCE), where it is an ingredient in a pain-killing mixture. The ancient Greeks are believed to have covered their eyes with fronds of the herb to induce sleep. Dill was commonly used as a charm against witchcraft in the Middle Ages and was burned to clear thunderclouds. Its name is derived from the Norse “dylla”, meaning to soothe. Dill seeds contain an oil that has mild antibacterial properties which may help destroy intestinal micro-organisms that cause ulcers and intestinal problems. German health authorities have approved dill as a treatment for intestinal complaints related to bacteria. Experiments have also found that dill oil can relax the smooth muscles that control intestinal motility, and thus may reduce colicky abdominal pain. Other studies indicate that the leaves and stem of the plant contain substances that lower blood pressure and slow the heartbeat, at least in lab animals. 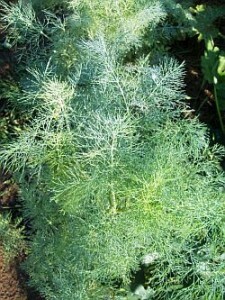 Dill is a popular pickling herb commonly grown in most gardens. 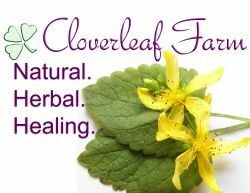 Although it is no longer extensively used as a medicinal herb in the US, most European herbalists rely on it as a digestive aid, to treat intestinal gas and flatulence, and calming the digestive tract. It has long been used to relieve infant colic, induce sleep, and treat kidney disorders and spasms. The essential oil relieves intestinal spasms and cramps and helping to settle colic. Like caraway, chewing dill seeds, not only helps digestion, but clears bad breath (halitosis). Indian medicine uses it for halitosis, worm infestation, respiratory complaints, and syphilis. Whole seeds are crushed are used to make teas or infusions for internal use and makes a useful addition to cough, cold, and flu remedies. Used with such antispasmodics as crampbark, it will help relieve menstrual pain. Dill has long been used to increase milk production; and, when taken regularly by nursing mothers, it helps to avoid colic in their babies. A related species native to India and tropical Asia, A. sowa, is also used to soothe indigestion.